As we start the count down towards the end of 2018 we take a look at common Kenyan citizens who became instant celebrities for one reason or another. 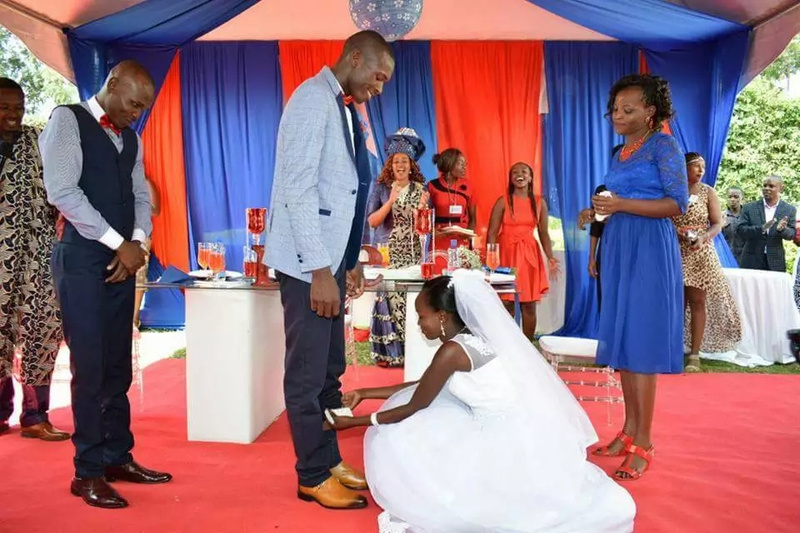 Ann and Wilson Mutura, became instant celebrities after spending only a 100 bob for their wedding officiated by a pastor going by the name Prince Jasper Ojwach on Facebook. a. SLIQUE EVENTS PLANNER Ltd through M.D Aaltonen Jumba has offered a fully sponsored wedding to give Wilson & Anne an opportunity to celebrate with friends and family. b. BONFIRE ADVENTURES AND EVENTS through CEO Kabu Simon has offered an all expenses paid honeymoon package. c. FINE CINEMA PRODUCTION through M.D Maureen Karee have offered make-up artist and free photoshoot on Valentine’s Day. d. Lilian, a volunteer in U.S has pledged start-up capital for a small business whichever Anne will find appealing. e. Moses Meingati has offered one goat as a wedding gift. f. Geoffrey Ngari has pledged a cake to the couple. g7. Derek Otieno, Wambui King’ori, Rosalind Njogu, Monica Chau and many others have pledged small tokens to celebrate this marriage. He was spotted absentmindedly enjoying his maize and bean meal as he joined millions of Kenyans braving the cold, damp weather to cast their vote in 2017. He trended and that saw him undergo an overhaul. He was even put in rehab after President Uhuru’s intervention, he was even dressed by Uhuru’s stylist. Unsolicited goodies started coming his way from leading mobile network operator Safaricom, while other Kenyan corporate practically fell over themselves just to get a piece of him. He got free holiday trips and new suits that transformed him from the haggard man in an ill-fitting checked blazer to a suave, streetwise, sharp dresser. A Head of State Commendation during 2017 Jamhuri Day celebrations capped off the roller-coaster ride had been riding. She became an instant celebrity after Deputy President William Ruto forked out a whopping 100,000 just for tea and chapati he had at her kiosk. On Monday, former Kakamega Senator Boni Khalwale set tongues wagging after revealing that the DP Ruto had paid Sh100,000 for the snack. “Yesterday a lucky Susan Mugasia served tea worth Sh 250/- to @WilliamsRuto & these VIPs at her kiosk at Shianda market in Kakamega. The Deputy President gave her Sh 100,000/- and told her to keep change!” said Boni Khalwale. David Kuria received a surprise invitation to the State House to attend President Uhuru’s swearing-in and a State dinner thereafter. Kuria, a newspaper vendor had faithfully sold newspapers to Kenyatta along the streets of Nairobi for decades. An encounter with the president changed the life of young Emily Wanjiru‘s family. The little girl moved the president with her poem. Shortly afterwards, the president offered to construct a better house for the family and pay for the girl’s education. This saw the family move from a 10 by 10 makeshift wooden house in Gachoror to a decent house.